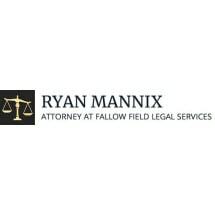 I am an attorney based in Yreka, California, and I represent clients throughout Yreka and Siskiyou County. I have provided zealous representation for clients in Siskiyou County Superior Court for over 11 years. I have garnered a reputation for passion, competence, and integrity in my legal practice. I am a "country" lawyer with top notch academic credentials. I am a graduate of Dartmouth College in New Hampshire (Ivy League, ranked in top 11 colleges in nation) and hold a Juris Doctorate from Pepperdine University (ranked in top 50 law schools in nation), a Masters of Divinity degree from Seaver College at Pepperdine University (ranked #2 dispute resolution program in nation), a Certificate in Dispute Resolution from Straus Institute (ranked #1 US News and World Report Resolution program in the nation). I live near the Klamath River in Siskiyou County with my wife Jessica and sons Noah, Abram Joseph, Amos, Daniel, and Micah. My family operates a small farm specializing in a goat dairy cooperative but including a flock of sheep, cattle, bees, 4-h rabbits, poultry, and whatever may come. I am active in my local church, active in my local community, and active in the county seat of Yreka where I maintain my law office just a short walk to the Courthouse. In short I am a Christian, a lawyer, and a "gentleman farmer", ready to stand beside and fight for my clients as we face the battle together.